State-owned Chinese media has said that the upcoming annual BRICS National Security Advisers' meeting this week is not a platform to address Sino-Indian bilateral or border issues. In an editorial titled "Doval visit won't sway China over border standoff", the Global Times said, "The BRICS National Security Advisers' meeting is a routine conference held in preparation for the BRICS Summit, and is not a platform to address Sino-Indian border skirmishes." The Chinese daily said that the Indian media is pinning high hopes on Doval's upcoming trip to settle the ongoing dispute. The editorial comes at a time when Doval, will be travelling to Beijing to attend a BRICS meeting on 27 and 28 July. The daily reiterated Beijing's firm stand that India's withdrawal along the disputed border is must for any meaningful dialogue between the two sides to solve the issue. "The Chinese side will not talk with India on the issue before the Indian troops' unconditional withdrawal from Chinese territory. New Delhi should give up its illusions, and Doval's Beijing visit is most certainly not an opportunity to settle the standoff in accordance with India's will," it said. The daily further said that Doval will inevitably be disappointed if he attempts to bargain with Beijing over the border disputes. "India's unconditional withdrawal is China's bottom line. The Chinese government's strong determination requesting Indian troop's withdrawal is backed by all Chinese people who are firm that we can't lose one inch of Chinese territory," the editorial read. "Indian media outlets are exploring "dignified" ways to pull back its troops. We believe that if India complies with international laws, then the withdrawal will display dignity. Beijing has no obligation to coordinate with New Delhi to withdraw its troops or suspend its road construction," it added. 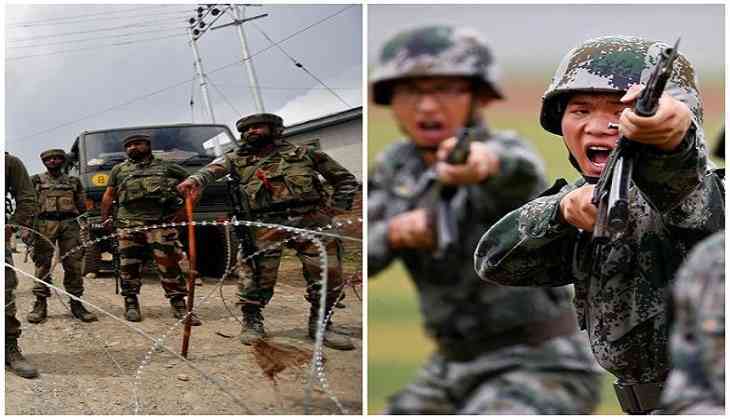 The editorial warned that People's Liberation Army (PLA) forces are being deployed to the border area, and will take effective countermeasures if India refuses to pull back voluntarily. It said that the PLA is capable enough to take actions that neither Indian troops nor the government can afford. "We don't believe India is willing and determined to have an all-out military showdown with China. If it chooses this path, Beijing will fight to the end to safeguard its territory and resist being deterred or hijacked by any force. New Delhi will have to pay a heavy price," it said.